While SUVs have become more popular than ever, many of these types of vehicles suffer from stability issues. 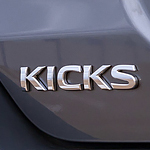 The good news is, the stylish and popular crossover SUV known as the Nissan Kicks employs a number of stability-improving suspension components that work to keep drivers and passengers safer. Among this list of components is the Nissan Torsion Beam Rear Axle system, the Electronic Power Steering service, and even a Front Stabilizer bar. 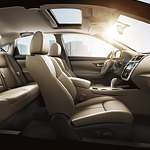 The Nissan Altima is a popular mid-size sedan that is great for driving around Littleton. It lets you get good gas mileage while also helping you look stylish on the road. To turn even more heads, you can add some great accessories to your sedan. Many like the 17” aluminum-alloy wheels, which have a split design with five individual spokes. The wheels also have a rugged and masculine look. The Nissan Armada: What Performance Features Does it Offer? Are you interested in the Nissan Armada? At Empire Littleton Nissan, our team is happy to provide our consumers with detailed information about our vehicles. The Nissan Armada is a popular full-size SUV that comes with a number of performance features for outstanding efficiency and power. The 5.6L V8 Endurance gasoline engine is capable of 390 horsepower and 394 lb.-ft. of torque. This engine has a maximum towing capacity of 8,500 pounds, and it comes with 32 valves and dual overhead cams. You get improved fuel economy and enhanced throttle response with VVEL valve control. You want to impress your friends and neighbors with your car's looks. The Nissan Sentra does more than that. This popular mid-size sedan impresses our customers at Empire Littleton Nissan with its performance too. You'll not only get turbocharged power, you'll get sleek aerodynamics and great fuel economy. Nissan gives you the choice of two engines. The standard 1.8-liter four-cylinder engine provides 124 hp and 125 ft.-lbs. of torque. Move up to the 1.6-liter SR turbocharged engine for significantly more pickup at 188 hp and 177 ft.-lbs. or torque. When it comes to buying a pre-owned automobile through the Nissan Certified Pre-owned vehicle program, the benefits are many and the drawbacks are practically non-existent. The team at Empire Littleton Nissan is standing by to walk you through the process of getting your own new-to-you Nissan car, truck or van today. Each vehicle in the program is thoroughly inspected for reliability and road-worthiness, and any necessary repairs are carried out using high-quality Nissan parts and components. One of the most important factors of a vehicle is getting it up to the higher speed limits. It is also important for a vehicle to be able to get up to the right speed in a quick and seamless manner. The Nissan GT-R enables you to get it up to the right speed. The Nissan LEAF features improved charging technology that allows the car to have the power of a gasoline engine, but the economy and environmental friendliness of a fully electric vehicle. There are several ways to charge your Nissan LEAF, whether you are on the road or at home. Let’s explore your options. One of the questions many new electric vehicle drivers ask is whether they can use a standard wall outlet to charge their LEAF. The answer is yes, but it takes about 35 hours to get a full charge using this method. When you want an agile and sporty car that is both stylish and functional, look no further than the new Nissan Versa. This popular subcompact car is ready to roll, and the professional associates at Empire Littleton Nissan look forward to introducing you to all of its impressive features. The 1.6L engine of the Versa delivers 109 horsepower and 107 lb-ft of torque. The variable valve timing is engineered to adjust engine output so that you get the most out of your fuel efficiency. The Nissan 370Z has been turning heads for a while now. Drivers say that the sports car is a pleasure to drive and offers a lot of amenities for being a sports car at such an affordable price. The 370Z is known for its high performance, delivering 332 horsepower from the base engine. The 3.7-liter V6 engine is standard on the 370Z, but most will upgrade to get more power. The cool Nissan Kicks proves that you don't have to spend a lot of money to enjoy high-tech amenities behind the steering wheel. This subcompact crossover SUV has a starting price of just over $18,000. Empire Littleton Nissan offers the SV edition for slightly less than $20,000. Additionally, this auto dealership has the SR trim for just over $20,500! A 7-inch touch screen with a capacitive interface is standard in this sporty family vehicle. You can personalize the NissanConnect interface according to your preferences for entertainment, information and guidance.